Mo Anam Cara - "My Soul Mate"
Drinkware - Mugs, Glasses, etc. Personalized Drinkware - Mugs, Glasses, etc. First time...How about 20% OFF? Your 20% Discount is active - 24 hrs only! 20% OFF Active - 24 hrs! Celtic cross pendant made from stainless steel. 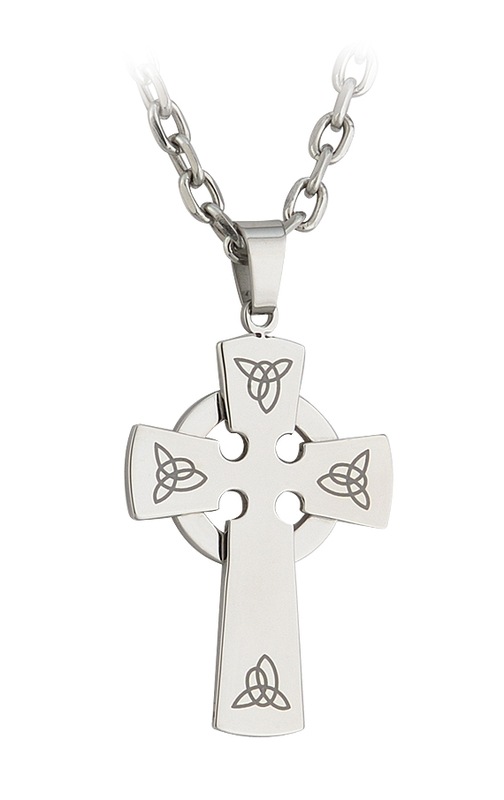 This distinctive mens irish celtic cross pendant is engraved with trinity knot symbols. Measuring approx 1.81 (46mm) x 1.18 (30mm) inches comes with 22 inch chain. Made by Solvar in Ireland, comes in padded display. © IrishShop.com All rights reserved.